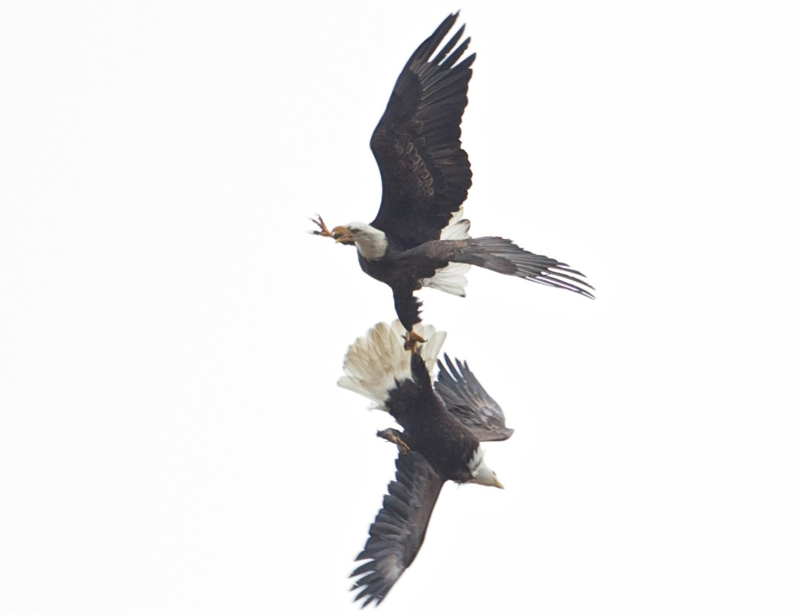 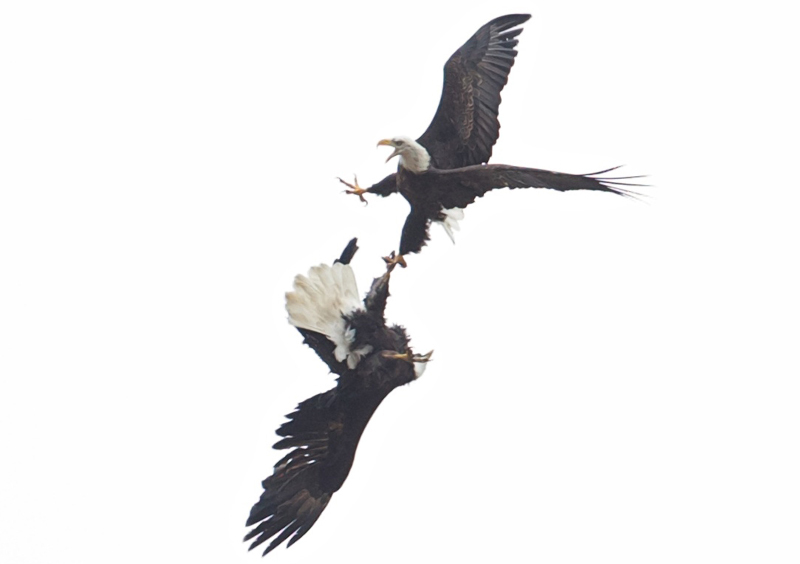 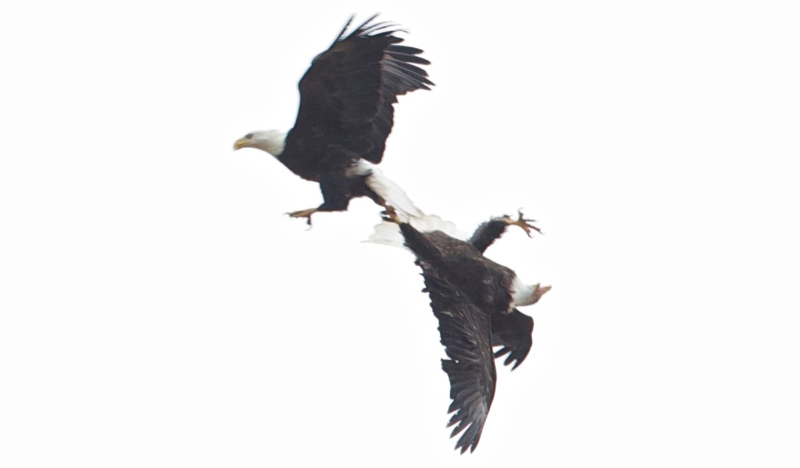 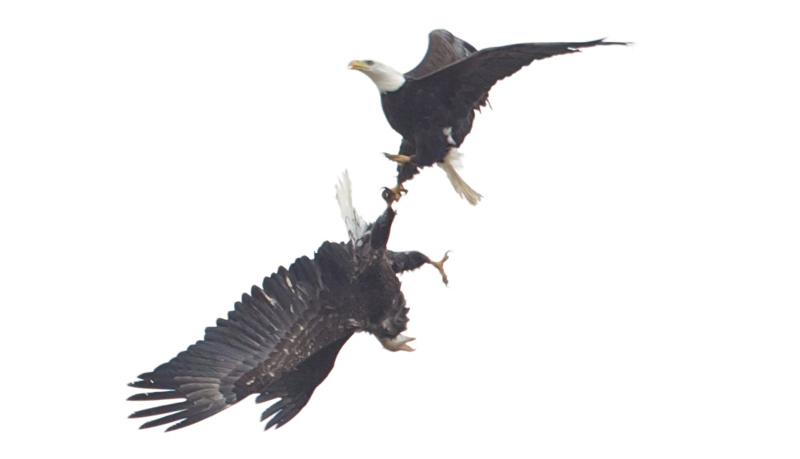 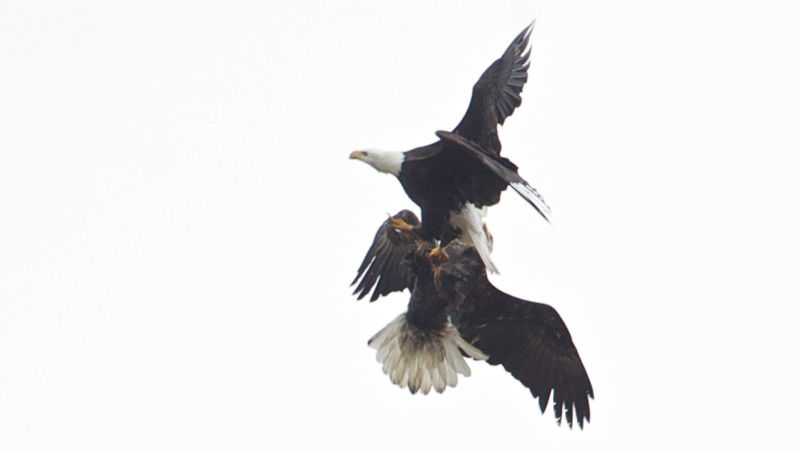 Blog » Bald Eagles - Falling from the Sky! 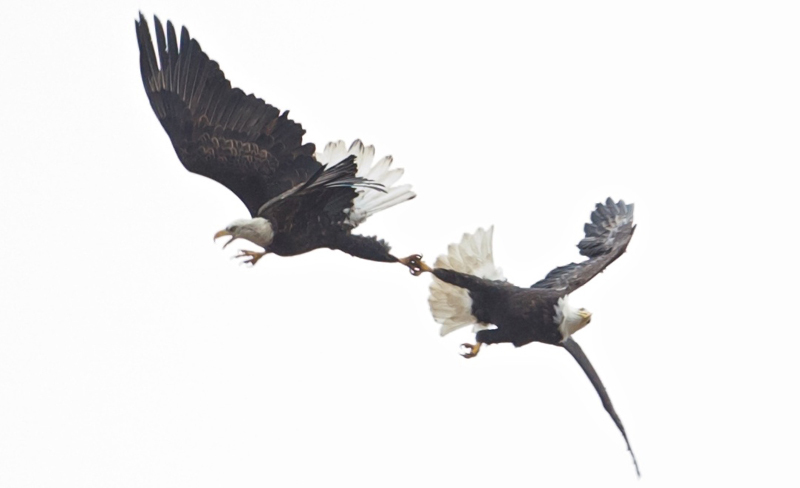 Eagles are monogamous, and pairs may remain intact year after year. 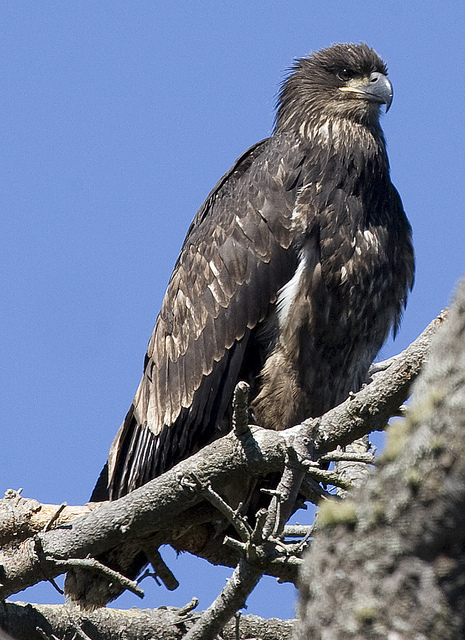 It's hard to know for certain, because the species is hard to capture to color-band or radio-tag. 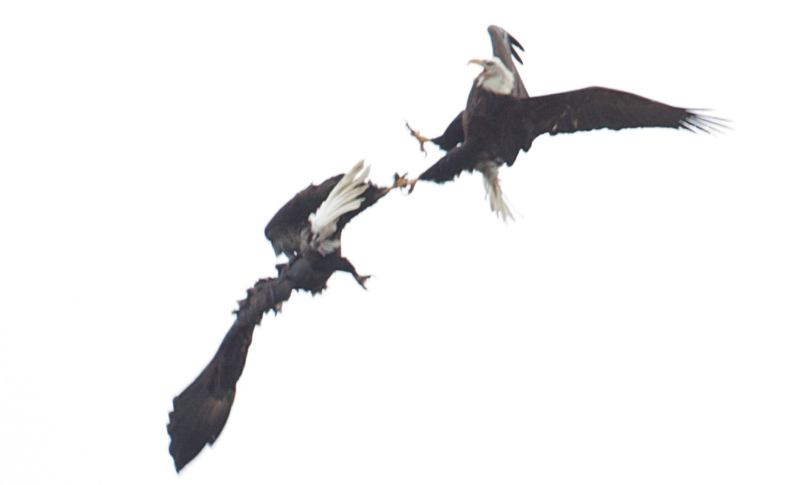 Pairs can engage in courtship displays like this on their breeding or wintering grounds. 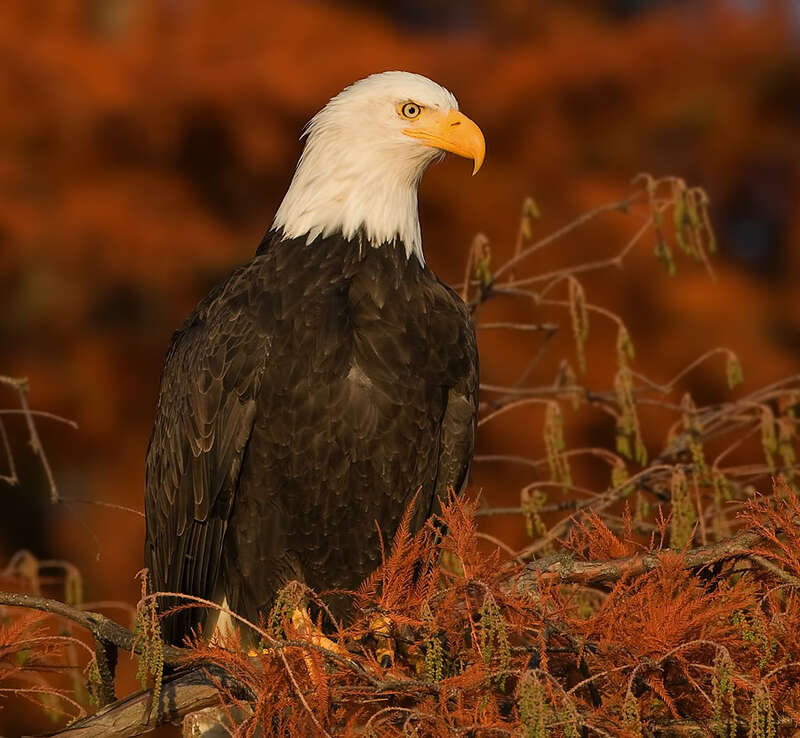 In the northern part of their range, Bald Eagles lay a clutch of eggs in March, but resident eagles in Florida can start incubating as early as October. 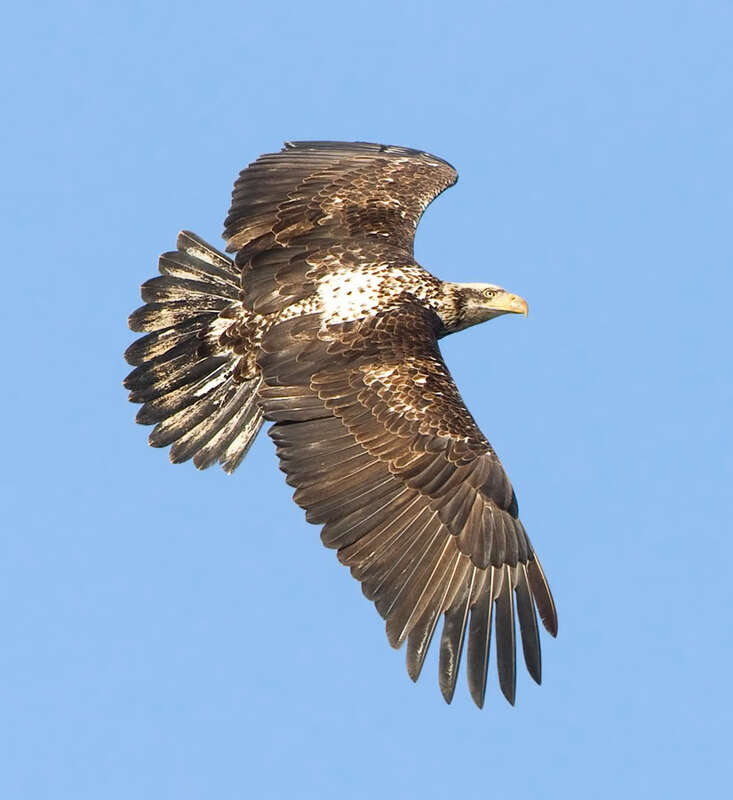 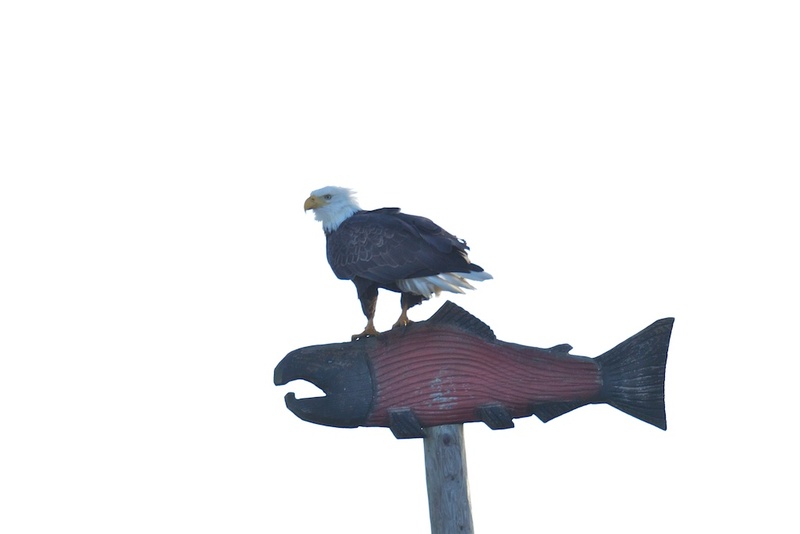 Listen to BirdNote shows about Bald Eagles. 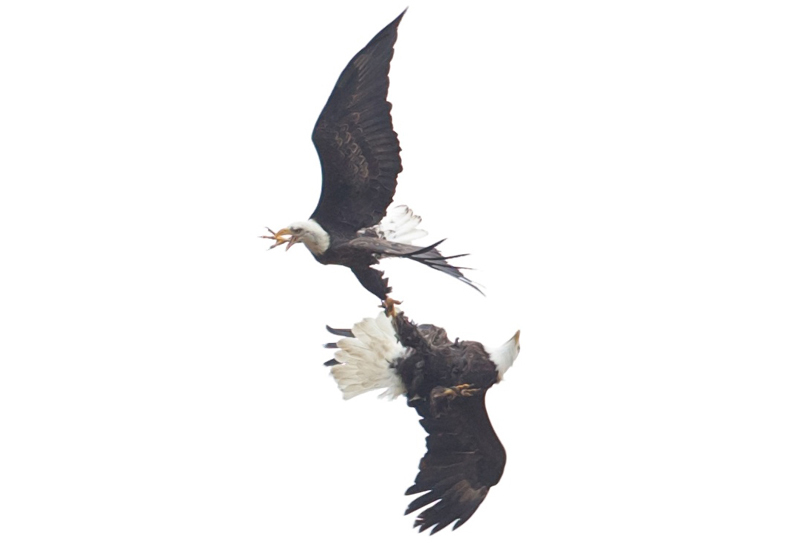 Here is the sequence of Gregg's images of this fascinating display.